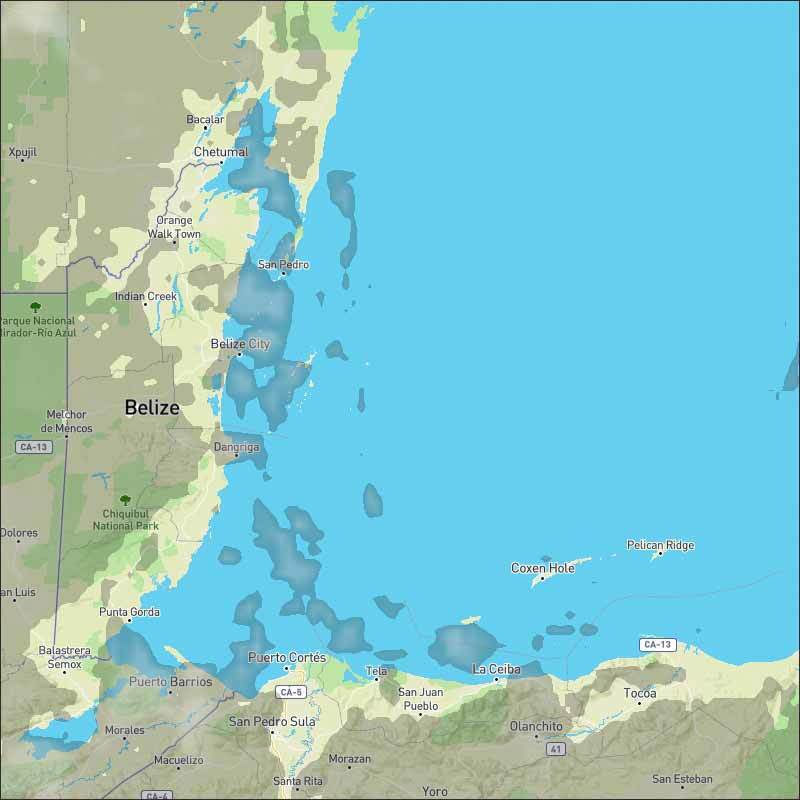 Belize NMS: Mostly fair conditions will prevail. 24-hour forecast: Mostly sunny today with only isolated showers and partly cloudy tonight with little or no rainfall. General Outlook: For Tuesday and Tuesday night is for generally fair weather with only isolated showers. Today E 5-10 kts Slight-Light Chop 1-3 ft ONLY ISOLATED SHOWERS. Tonight E-SE 5-10 kts Slight-Light Chop 1-3 ft LITTLE OR NO RAINFALL. Tomorrow E-SE 5-10 kts Slight-Light Chop 1-3 ft ISOLATED SHOWERS. Outlook SE 5-10 kts Slight-Light Chop 1-3 ft ISOLATED SHOWERS. 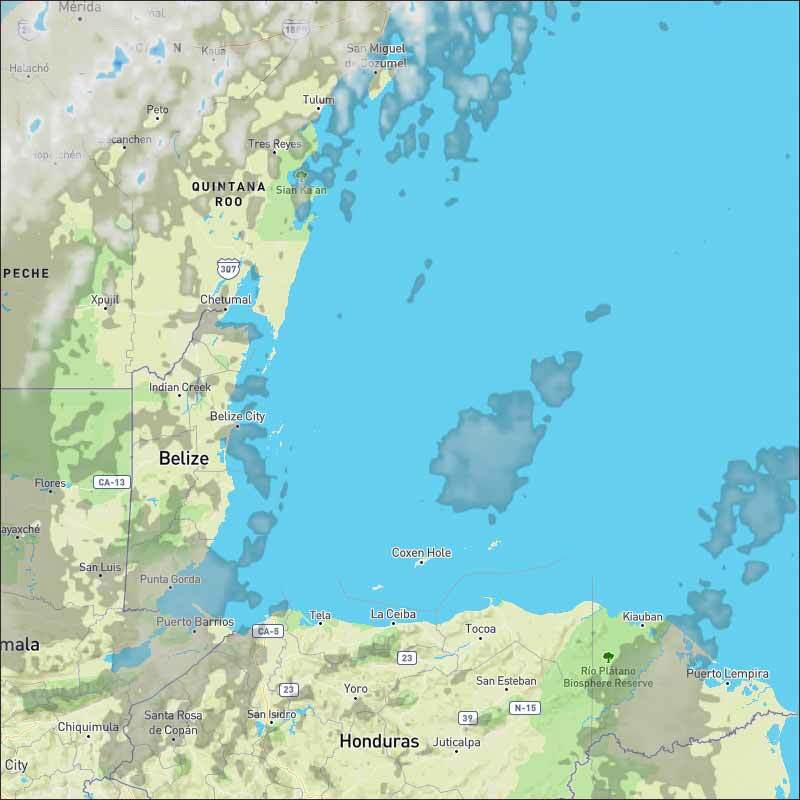 A gale is along the coast of Colombia. The remainder of the Caribbean has 10-30 kt tradewinds with weakest winds over the NW Caribbean. Scattered showers are noted over Puerto Rico, Hispaniola, Cuba, Jamaica, Guatemala, E Nicaragua, Costa Rica, Panama, and N Colombia. In the upper levels, a ridge is over the W Caribbean with axis along 74W. Very strong subsidence is over the entire Caribbean and Central America suppressing convection. High pressure centered to the southeast of Bermuda near 29N54W will support fresh to strong trade winds across much of the central Caribbean Sea through early Wed, before the high moves eastward and wind speeds diminish for the remainder of the week. 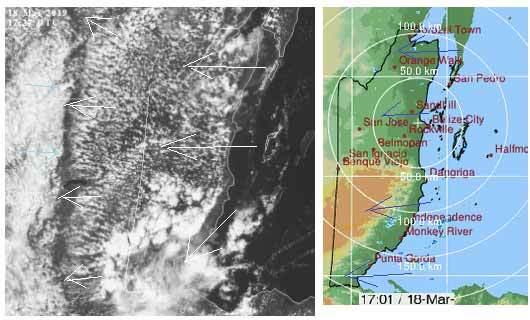 Trade winds are pulsing to minimal gale-force along the coast of Colombia. These winds diminish to just below gale later this morning and pulse back up to gale force tonight into early on Tue. 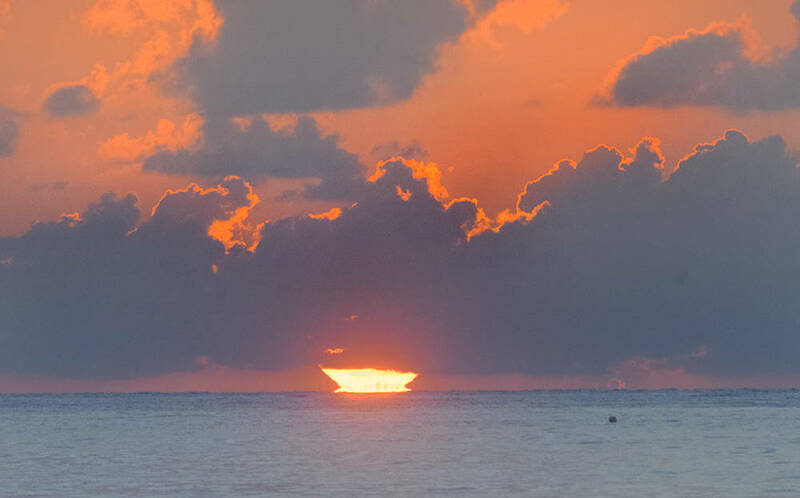 Moderate to fresh trade winds will continue across the remainder of the area through Fri.
On Ambergris Caye we have a flat calm sea around our Barrier Reef on a sunny day with an expected high temperature of 86 f.
Last edited by elbert; 03/18/19 07:59 AM. A very complex weather situation. 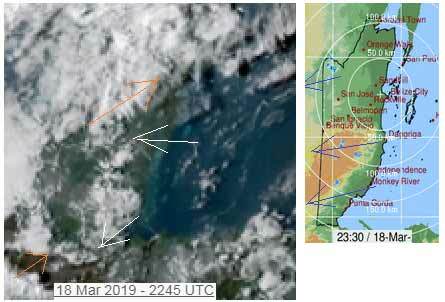 The mass of air with cloud came down over Belize from the NW over night, and is now backing against the easterly Caribbean air, forming a cloud clashing line just off the coast. This will probably come inland this morning as the Caribbean wind gets stronger. The high level is from the west, but there is air from the south over western Mexico and the surface air over central Belize is from the SW. There are small, scattered rain showers in many parts at present. There is significant clouds in much of central Belize with sunshine in the north and south. Looks like all sorts of things could happen today, clouds coming in with isolated rain showers, and a lot of sunshine. We are in the middle of the battle lines. Despite all this, there are only very small traces of the odd rain shower out at sea. But low cloud and high cloud rapidly building from the west. Interesting development. The easterly Caribbean decided not to fight that front just out at sea, but just leapfrog over it. So now the Caribbean air predominates, and it is now fighting and pushing back that large cloud mass that was trying to come in from the west. There are a few small scattered rain showers around. So probably more sunshine this afternoon. 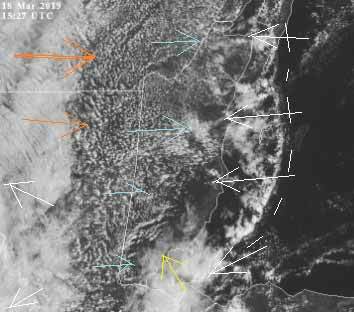 Looks as if the high level cloud that is normally over the Gulf but came down close or over us last night and today, is now moving back up north to where is more normal. There are still scattered rain showers in a number of places, mainly down south. But looks as if the weather is getting back to the more typical for the last week or so. I expect less rain tomorrow, Tuesday and more typical white clouds building during the morning and clearing to sunshine in the afternoon.